Top 10 WR who averages just under 1,000 yards for his six seasons. Remember he missed four his first year and seven this past season. Dez is more likely to average 1,200 to 1,300 for his career. But receiving yardage isn’t how he makes his living. Dez is a touchdown machine, 6, 9, 12, 13, and 16, in his first five seasons respectfully. Last year was not the norm with 3, injury riddled season along with unwatchable QB play. With a healthy Tony Romo and Dez you are looking at, AT LEAST 85/1300/10 line. I personally think he will match his career high in TDs with 16. 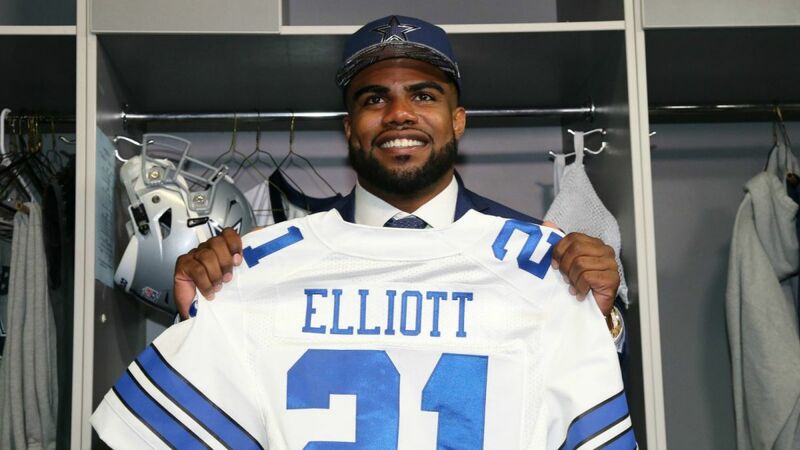 Dallas will need to score plenty of points this year due to there lack of talent on defense and in my estimation that means more shots and opportunities toward the end zone and why not throw it up to one of the best when the balls in the air for SIX. He was the number 4 pick in the draft and you don’t draft a RB that high and not use them as your bell cow. Some say well you have Darren McFadden and Alfred Morris which are more than capable backs, especially with the best offensive line in the NFL. Hell, McFadden ran for 1,100 yards on a Romo-less team for more than half the season. I answer with this, WHY did they draft Ezekiel? Why not roll with McFadden once more? Its pretty simple. They wanted a player with more talent and upside and the with that OL one can only imagine, the sky is the limit with this fellow. Some think he is in the same tier as a Todd Gurley or AP from a talent perspective. I will say it once more you don’t draft an RB 4th overall and not make him the workhorse. Dallas wants to recapture the 2014 season where they limited the amount of times Romo dropped back and gave Murray the ball damn near 400 times out of the back field (392). And in that season they fell a game short of the NFC championship game. Not to mention that kept their defense fresh. Dallas has struggled recently to keep Romo healthy. The remedy for that aliment is to run the ball and run it a whole hell of a lot. I’m looking for Elliot to touch the ball over 400 times easy. Witten came in about 12th or so in most leagues in scoring out of the Top 25 TE’s. That’s not bad, between 80 to 90 points depending on your settings. 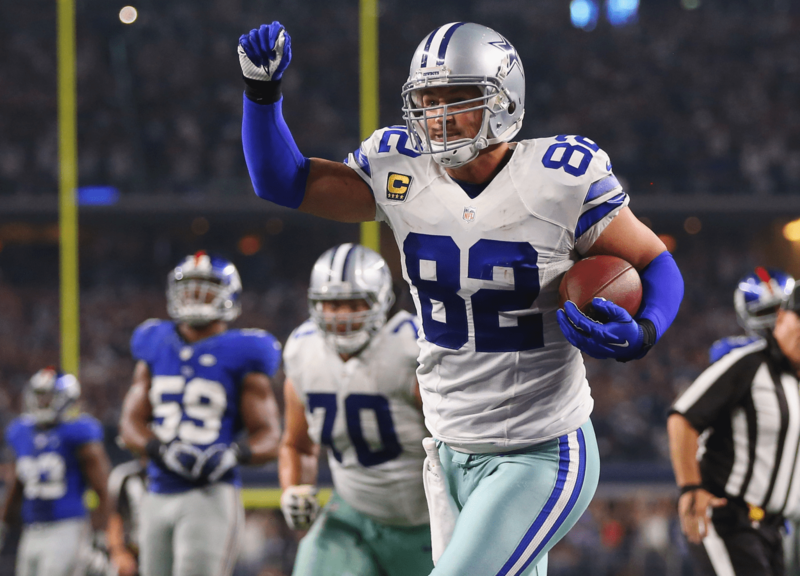 Going into his 14th season Witten has only had one season under 700 yards and that was his rookie year. His TDs are a hit or miss though, he can range anywhere from 1 to 9. If you do the average for his career it’s 5 TDs a season and if they plan on re-living the 2014 season five is the amount he scored. I project 70 rec 700 yds and 5 TD’s.